“How will Pakistan fare in the upcoming World T20 Cup?” is a question that is residing in the minds of almost all cricket loving Pakistanis- essentially all Pakistanis. The 6th edition of ICC’s World T20 will be kicking off from 6th of March this year and we are already at the end of January which leaves us with a little more than a month of wait for the big tournament. And if Pakistan’s recent performances in T20 is anything to go by then I am afraid Pakistani fans are in for a lot of disappointment. Pakistan 15 men T20 squad is not announced for the event yet and this is where the first quandary lies for Pakistan. Though Shahid Afridi, the Pakistani captain, has been experimenting with team combinations for more than a year now, he is yet to find the perfect combination for the big event. Pakistan, along with its arch rival India, is placed in Group 2 which is already been called as the Group of Death by all the cricket pundits. New Zealand and Australia are also part of this group. Bangladesh is accepted to join this group after playing the qualifier round. So no respite for any team once the tournament kicks off. 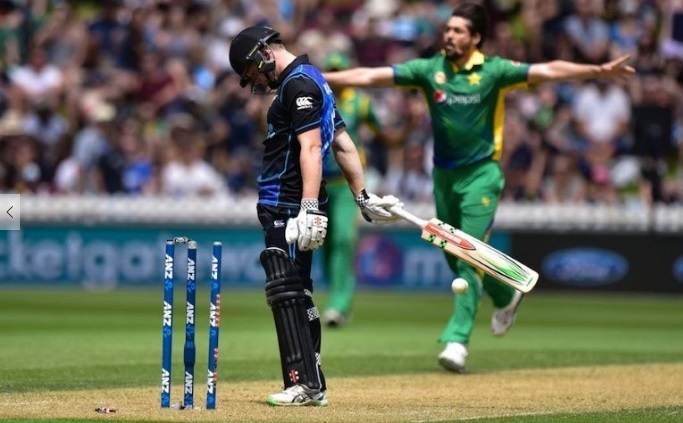 In the recent 3 match T20 series played against New Zealand, Pakistan’s precarious batting became ever more prominent. Failing to set sizeable total in the 2nd match in a minuscule ground and an even abject surrender in the 3rd T20 left selectors in a conundrum regarding the selection for the event in India. Pakistan has invested a lot of time and opportunities on openers Ahmed Shehzad and Muhammad Hafeez who have also responded with impressive performances for Pakistan in past but the recent run of form hasn’t been very reassuring especially of Ahmed Shehzad. Loaded with talent and a history of attitude problems, Shehzad is under loads of pressure for performing and with each new failure this pressure keeps mounting. Shehzad needs to get his act together as quickly as possible if he is to make into the final XI in India. Umar Akmal, Sarfraz Ahmed, Shoaib Malik will be forming the backbone of the Pakistani middle order. Malik by far has looked the best batsman of Pakistan in the previous year with runs across all the formats of the game and his record on subcontinental pitches is even more impeccable. Seeing Sarfraz behind the wicket is always an assuring sight but he needs to work on his finishing skills in batting. After all scores in mid 20s don’t make anyone an impact player. Umar Akmal is the one player Pakistanis will be pinning their hopes with. Umar has been delivering more often not in recent appearances for Pakistan and his ability to perform under pressure makes him stand out amongst all other youngsters. Afridi and Anwar Ali will be there to provide the late impetus to the team and can score quick runs if needed. Pakistan’s love affair with fast bowlers will continue even in this ICC event. A fast balling unit reinforced with the inclusion of Muhammad AMIR will be one balling attack to look for in the event. Wahab Riaz, Muhammad Irfan, Imad Wasim will not be easy to handle. I am getting this feeling that if Pakistan is to go any further in the tournament then the group stage then it will be because of its bowlers. Pakistan will be starting its World Cup campaign on 16th March by the match against the team qualifying from the Group A. Most probably it will be Bangladesh they will be dealing with. If you have been following the Bengal Tigers, you would know that this game will be no dead rubber. As a matter of fact, in the last match these two teams met, Bangladesh prevailed by 7 wickets. Bangladesh has a pack of able Batsmen and now with the arrival of good fast bowlers, Bangladesh will be a tough team to beat. Pakistan can’t afford to take Bengla Tigers light. Having said that, Pakistan still holds the upper hand in this competition and is likely to emerge triumphant in this battle. In head to head encounters Pakistan has won 7 out of 8 matches against Bangladesh. The most high voltage match of this event will be between India and Pakistan which will take place in a packed stadium nestled amongst the staunch mountains of North Indian city of Dharamasala on March 19th. Emotions will be high and the team which handles its nerves will be one which will gain the points for this match. Like always this match will be between Pakistani Bowling and Indian Batting. Pakistan should, and I emphasize on should, go into the match forgetting all the history of India-Pakistan World Cup encounters. 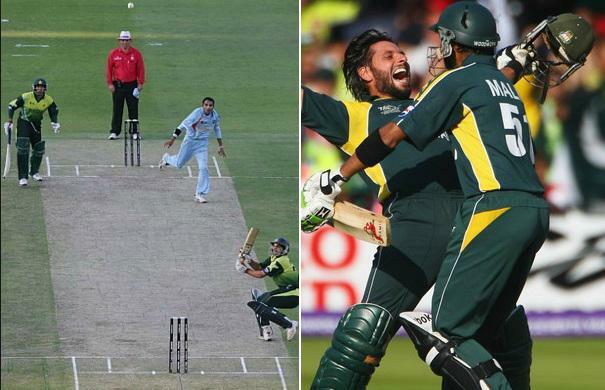 Pakistan has managed to win only one of the six T20s that it has played against India with one match being ties. On 22nd March Pakistan will lock horns with a team which is rated as an absolute cannibal of Cricketing World these days. Yes, Pakistan will be taking on New Zealand. This Kiwi side has seen a dream transformation in the last year or two. With victories at its back across all formats, this team has potential to go all the way in this tournament and a victory against New Zealand will do a world of good to Pakistan’s confidence. Pakistan has played a three match series against New Zealand just this month so Pakistani players would have got a measure of kiwi team’s abilities with bat and ball and come up with an effective strategy to down them in World Cup. Pakistan and New Zealand have met 14 times in T20 Internationals and Pakistan dusted the kiwis 8 times in these matches. Pakistanis don’t have very fond memories associated with Mohali and this is the stadium where Pakistan will be taking on the kangaroos on March 25th. In their last World T20 encounter, Pakistan played cricket of highest quality to defeat the Australians after an exciting and nerve rattling competition in which the Pakistani off spinner Saeed Ajmal had a pivotal role. Pakistan and Australia came against each other in 13 exciting matches and Pakistan has managed to cling on to victory on 8 of these matches. Unlike the last 4 events, in this World Cup Pakistan will be missing the services of The Magician, Saeed Ajmal. Saeed has always been the trump card for all the Pakistani captains in the last 4 events. Instead, Imad Waseem has big shoes to fill. This event is always a landmark because this will be the last time we will be seeing the mercurial Pakistani All Rounder, Shahid Afridi in the Pakistani kit. The leading wicket taker for Pakistan has already announced to hang his boots after this event. He sure will give his everything in bringing his colorful career to an even more jubilant by getting his hands on the trophy. Almost all the Pakistani players will be playing in the inaugural edition of Pakistan Super League this February so this tournament will also be a good practice for all the young players and will help them deal with the crunch situations that will be facing in the T20 World Cup. With its famous unpredictability, Pakistani Team has put so many prophesiers out of business that predicting about Pakistani team’s chances is shrouded with danger. On its day, this team has the potential to knock out any team out of the game. We will have to wait and see which Pakistan Team turns up in the World Cup. We hope it is the one to be afraid of.